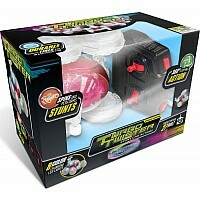 Turbo Twisters Remote Control Stunt Car (27 MHZ) with Bright Flashing L.E.D. Lights, patented 360 degree front axle rotation. 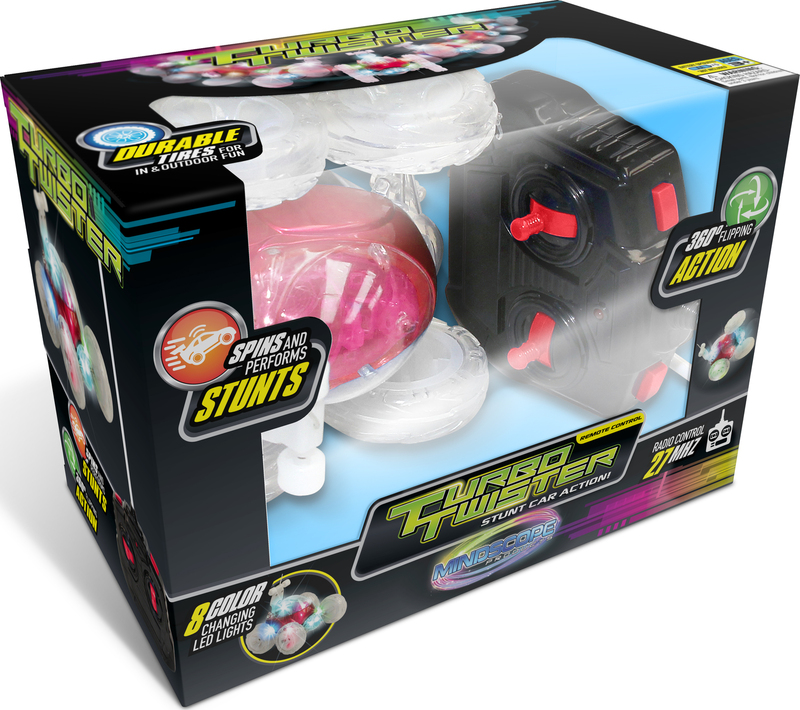 Performs dozens of stunts, indoor outdoor. Car requires 3 AA batteries RC unit requires 2 AA batteries (not included). Will interfere with other 27 MHZ Turbo Twisters (orange red), OK to use with 49 MHZ (blue green). Ages 3-Adult.